Who Is In The Middle For Saturday’s South Yorkshire Derby? 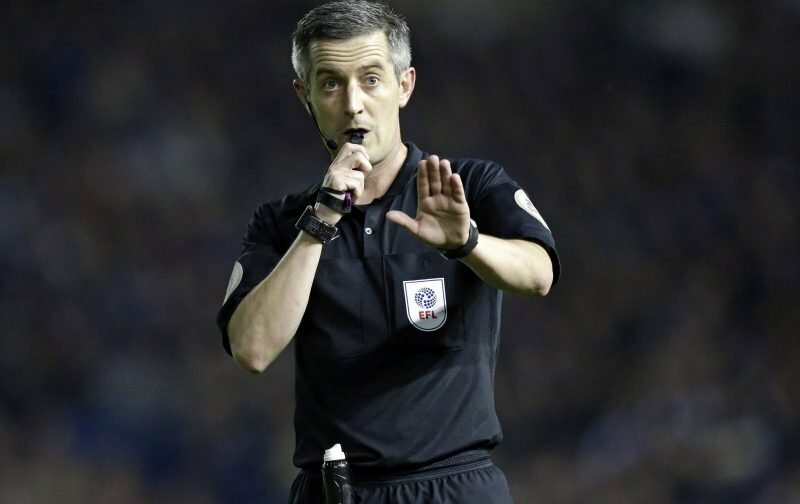 This weekends South Yorkshire derby when Rotherham United travel to Hillsborough sees referee Darren Bond from Lancashire in charge. Darren was last in the middle of a Millers match in October when Rotherham were the visitors at The Riverside Stadium for our game with Middlesbrough. There were no goals that night and the only booking was to the Millers’ Will Vaulks. The time before that when Darren was involved in a Rotherham game was at the New York Stadium in October 2017. Scunthorpe were the visitors that Saturday afternoon which saw goals from Will Vaulks and Kieffer Moore give the hosts all three points. The season before had Darren twice in the middle for Millers games. The first time was at Portman Road at the end of October when Freddie Sears opened the scoring for Ipswich on just three minutes but five minutes later the Millers were level with a goal from Danny Ward. Three minutes into the second half the Millers went in front again a goal from Ward but in the final minute of the game David McGoldrick earned a point for the Tractor Boys. In January at the New York Stadium Ryan Taylor put visitors Oxford in front four minutes before half-time. Danny Ward equalised on fifty-one minutes but goals in the last ten minutes from Phil Edwards and Kane Hemmings sent Oxford home with all three points despite a last minute goal from Tom Adeyemi. Darren was last in charge of a Millers game in August 2015 when the Millers were the visitors at the City Ground. Rotherham took a thirteen minute lead with a goal from Danny Collins but a goal on the stroke of half-time from Matthew Mills and another from Michail Antonio just after the hour mark gave Forest a two-one win. Richie Smallwood, Chris Maguire and Matt Derbyshire saw yellow for the Millers that afternoon. Other times Darren was in the middle for Rotherham games was October 2012 when Plymouth Argyle were the visitors to the New York Stadium. The only goal of the game was from Kieran Agard on the seventy-third minute with Darren booking Gareth Evans of the Millers and James Lowry and Alex McDonald from Plymouth. Boxing Day 2013 saw him in charge of the Millers who were the visitors at Valley Parade when, again, the only goal of the game was for the Millers when Haris Vuckic scored his first goal in a Millers shirt sending two and a half thousand Rotherham fans home happy. Darren was also in the middle for our home game against Birmingham in November 2014 when a Clayton Donaldson goal just after the hour mark gave the visitors all three points. Kari Arnason and Johnson Clarke-Harris were booked for the Millers that day alongside City’s David Cotterill. A few days before that game Darren was the referee in charge of the England v Italy U19’s game at the New York Stadium. In the seventeen games Darren has reffed in this season he has shown forty-seven yellow cards and two red cards. Andrew Fox and Philip Dermott have the flags on Saturday and the Fourth Official will be Darren England.